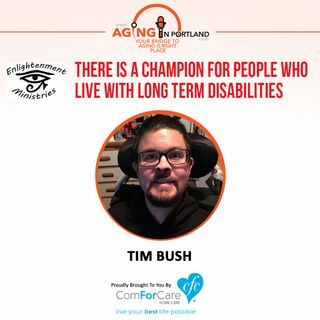 Tim Bush is our remarkable guest who doesn't allow the Duchenne Muscular Dystrophy that he has lived with for 31 years impede his message of raising awareness and advocating for the disabled community. His mission is simple: educate youth on disabilities, change negative ways of thinking, create a positive outlook on life, and fight negative stereotypes. His desire is to help others access belief in one's own abilities.